The Company with the former name “Hangzhou Gearbox Works” was founded in 1960. Approved by State Economy and Trade Commission, the Company was restructured into a liability limited company with diversified state shares in 2001 and in 2008 the company was restructured into a joint-stock limited company. The company has been listed on Shanghai Stock Exchange since October 2010. Located near the south bank of Qiantang River, the Company owns 500,000 ㎡ area, 2500-odd employees, 19 affiliated companies. The Company is awarded as “Leading Company in China Industry Area”, “Top 500 in China Machinery Industry”, “Top 500 Competitive Big Enterprise and Big Group in China”. Standing on transmission industry, relying on science and technology progress, core competitiveness is enhanced and leading position in the industry area is established. Since 1980s, based on independent development, the Company has imported advanced foreign technology and realized secondary innovation, the products area has been expanded into 10 families covering over 1000 types, including marine gearboxes and controllable-pitch propellers (CPPs), construction machinery transmissions and driving axles, automotive transmissions, wind turbine transmissions, industrial transmissions, agricultural transmissions, large-sized high-precision gears and powder metallurgical (P/M) products. Technology Center of the company was awarded as state-level technology center. The Company imported first class equipments, established complete quality management system and sales service network to provide clients with high-quality products and satisfactory service. “Advance” is assessed as Famous Trademark in China “Advance” marine gearbox is awarded as first batch of “China Top Brand Product” in the industry area. “Advance” products are sold in about 31 provinces and municipalities in China and 47 countries and regions in the world. At the new development stage, the Company will adhere to Company spirit of “Loyalty, Dedication, Solidarity, Top-Rank”, make fully efforts to become a transmission enterprise top-ranked in Asia and well-known in the world. 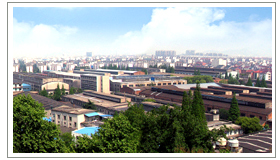 Company Name: Hangzhou Advance Gearbox Group Co.,Ltd.